Save by pairing your lodgings and airfares. Expedia has heaps of amazing Alpartir vacation packages that'll save time and give you more cash to spend! Our exhaustive database provides more than 400 partner airlines and 321,000 worldwide properties. With such a broad range of options, you can't go wrong! Unsure about your booking? There is no extra fee from us when you change almost any reservation. Getting ready to take off on your Alpartir vacation? Haven't got a clue what sorts of things to put on your travel program? No need to fret — we'll give you some hints. Many have said that knowledge is power. With that in mind, you'll definitely feel more powerful when you're finished with Wine Museum. There's a wonderful range of things to keep you busy nearby. Public squares can tell many tales. Wander well-worn footpaths and hunt for clues to the area's history at Plaza Espana. Still got some time to spare? Add a little refinement to your getaway by visiting Bodegas San Alejandro. Explore the winery, book a tour and try a sample of the finished product for yourself! Regrettably, there aren't many accommodations to select from in Alpartir. 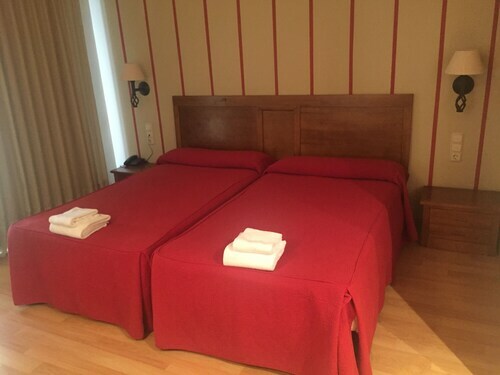 The Hotel El Patio (Avenida de Madrid, 6) is the only Expedia-listed property in the vicinity. Check in and make your way through security, amble onboard, stow your bags in the overhead locker and get comfy! Your exciting trip to Alpartir is just a plane ride away. When the wheels touch the tarmac at Zaragoza Airport (ZAZ), you'll find yourself approximately 25 miles (40 km) from the center of town. 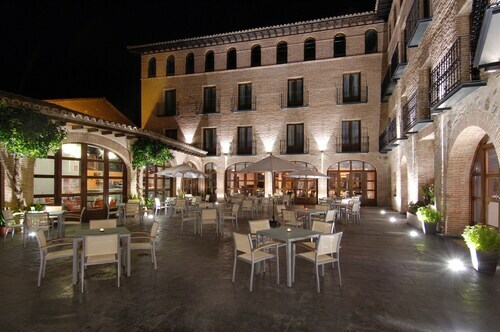 Situated in Daroca, this hotel is within a 5-minute walk of Church of San Miguel and Church of Santa Maria. Casa de la Comunidad de Aldeas de Daroca is 0.3 mi (0.4 km) away. 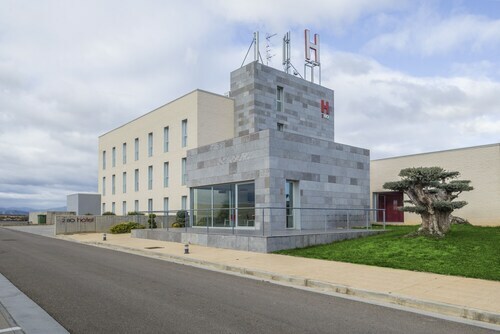 Situated in La Almunia de Dona Godina, this hotel is 3.9 mi (6.3 km) from Plaza Espana and within 20 mi (32 km) of Wine Museum and La Ermita de Nuestra Senora de la Fuente. Tierga Church and Calatayud Municipal Museum are also within 25 mi (40 km). 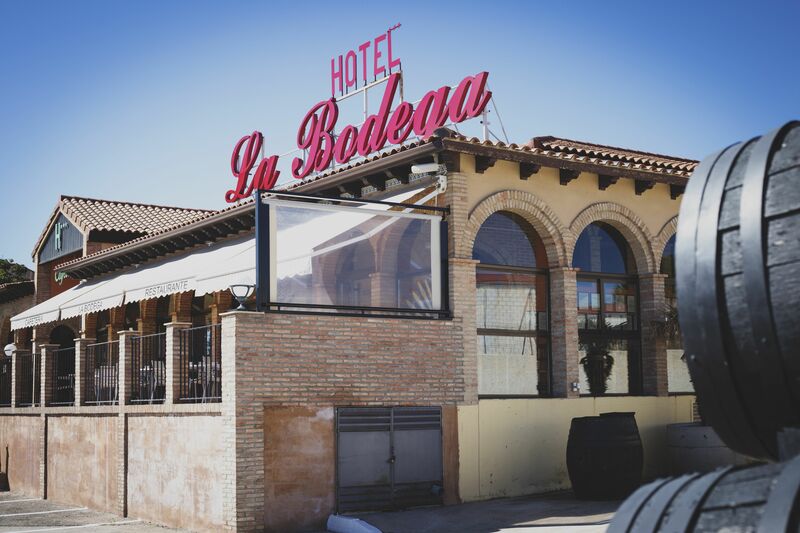 Situated in Calatayud, this hotel is within a 15-minute walk of Colegiata de Santa Maria and Calatayud Municipal Museum. Monasterio de Piedra is 18.2 mi (29.3 km) away. Catalayud Station is 15 minutes by foot. 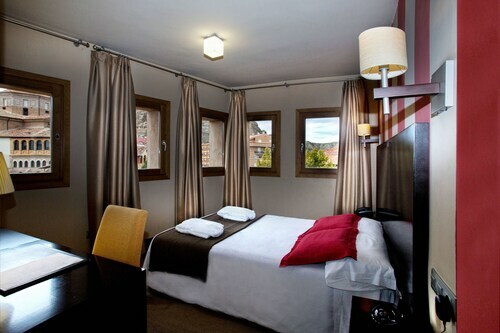 Situated in Calatayud, this hotel is within a 10-minute walk of Colegiata de Santa Maria and Calatayud Municipal Museum. Monasterio de Piedra and Casa de la Comunidad de Aldeas de Daroca are also within 25 mi (40 km). Catalayud Station is 9 minutes by foot. Situated in Carinena, this hotel is 0.3 mi (0.4 km) from Wine Museum and within 16 mi (25 km) of La Ermita de Nuestra Senora de la Fuente and Casa Natal de Goya. Plaza Espana and Casa de la Comunidad de Aldeas de Daroca are also within 25 mi (40 km). Situated in La Almunia de Dona Godina, this hotel is 4.4 mi (7 km) from Plaza Espana and within 25 mi (40 km) of Wine Museum and La Ermita de Nuestra Senora de la Fuente. Tierga Church and Calatayud Municipal Museum are also within 25 mi (40 km). 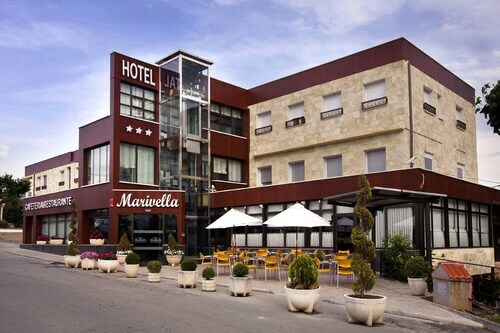 Situated in Calatayud, this hotel is 4.1 mi (6.5 km) from Calatayud Municipal Museum and 4.2 mi (6.7 km) from Colegiata de Santa Maria. Monasterio de Piedra and Plaza Espana are also within 25 mi (40 km). Situated in Calatorao, this hotel is 5.1 mi (8.2 km) from Plaza Espana and within 20 mi (32 km) of La Ermita de Nuestra Senora de la Fuente and Church of the Assumption. Wine Museum and Club de Golf La Penaza are also within 20 mi (32 km).